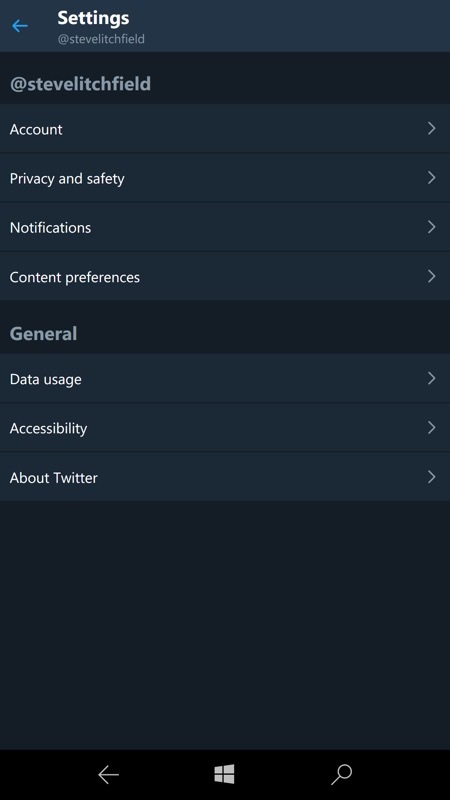 Twitter's PWA app, officially packaged by the company for the Windows 10 Store, has received a big server-side update. 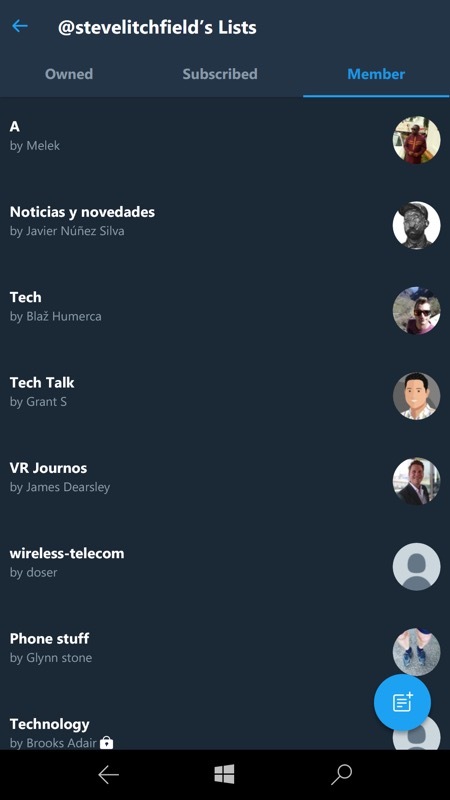 List improvements and bug fixes are nice, but the huge one for me is the choice of four different text sizes for the UI. 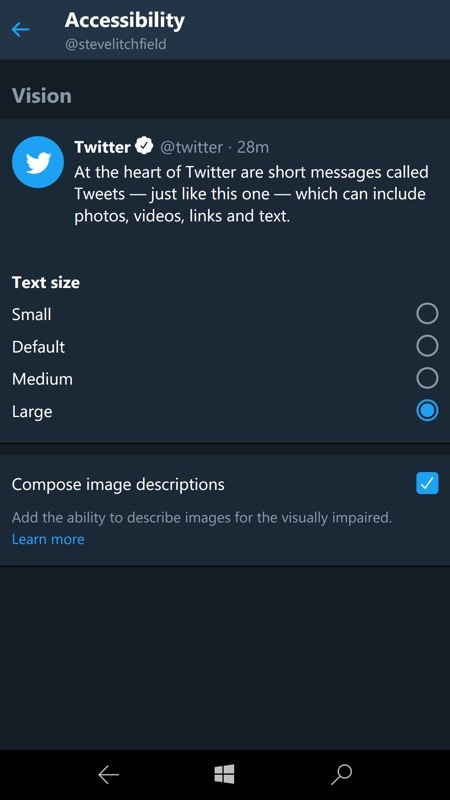 They're sensibly varied without going over the top and I'm sure you'll find the right setting for your screen size and eyes. 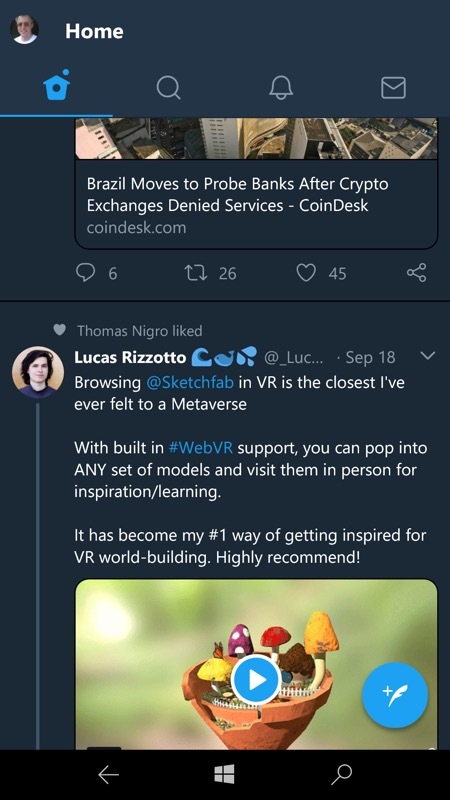 Here's the new version of Twitter's (UWP) PWA in action. 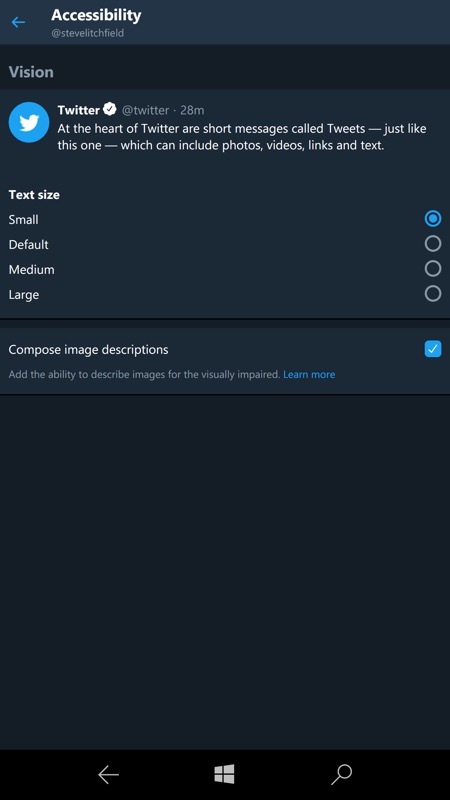 To adjust text size, head into Settings (under your top-left profile picture) and then into 'Accessibility'; (right) Four options are currently available. Shown above is 'small' and below left is 'large', with the dialog itself refreshing to show the changes immediately. Maybe it's my eyes, but 'Large' suits me just fine on the larger Windows 10 phones. There are Lists improvements too - you'll find these under the profile menu too. I don't use Lists at all - maybe it's just me - but if you do then there's more to adjust now. You can grab or update the Twitter PWA-ified UWP client here in the Store. 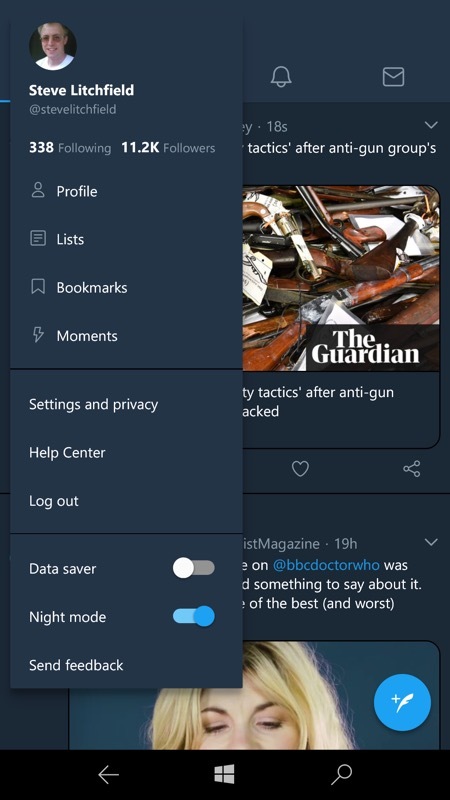 Enjoy night mode, enjoy the 280 character compatibility and tweetstorm feature, enjoy the new layout, text size options, and general current functionality, this application now trumps third party options like Tweetium UWP because of recent Twitter changes which knocked push notifications on the head.